Should You Buy A PlayStation VR? After an unsuccessful but mostly just premature first foray into the public eye, virtual reality has had a second lease of life over the past half-decade and has gone far further than the doomed adventures of the Virtual Boy could have ever predicted. 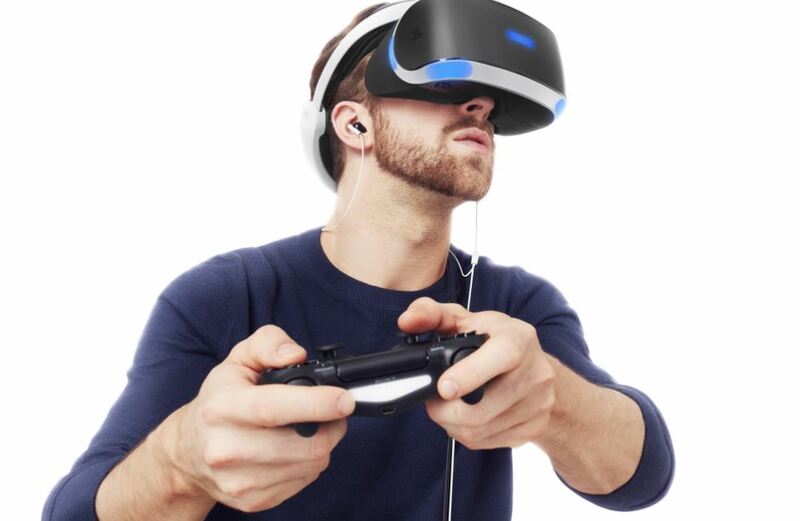 One of the big reasons behind that is Sony’s PlayStation VR: arguably the most fairly priced headsets on the market. With Oculus and Vive vying for love and attention on PC but struggling to make a significant dent owing to hardware limitations and high prices for many consumers, the PSVR swooped in and offered a pared-down but still impressive vision that retailed at a more “wholeseome” price. The numbers may vary depending on the retailer, but you can expect to find one for $100 so or more than a base PS4. The lowered price and easier compatibility has worked out for Sony with 2 million units shifted: a much higher number than its peers. However, it’s hard to shift the feeling that it (and VR in general) hasn’t exploded into popularity quite as much as you would expect. A lot of it must come down to cynicism, those who think VR is nothing more than a passing fad like the Kinect or instrument games like Guitar Hero. But there are also those out there who just don’t really know what to expect. I was a bit of both before I picked up my PlayStation VR. To help you make up your mind, here are some of my thoughts and findings from my time with my headset. The most important place to start. I am yet to see a VR headset that is totally perfect and the PS VR is a similar story. It’s bulky but light enough so that you aren’t consciously aware that you have a large bit of plastic on your head while you explore alien worlds. One of my reservations about VR was that I can’t typically wear hats because my head is the size of a football field, but it’s easily adjustable to accommodate my Head Zeppelin. That being said, when wearing glasses, it is a bit of tight squeeze and has bent them out of shape slightly. Something to be wary of. On a base PS4, the view through the headset is often like looking at one of the very first LCD screens ever made. It isn’t horrendous (far from it), but there is some muddiness and a lack of clarity to contend with. I had a terrible time with DOOM VFR because of it, though it’s been more than good enough with every other game I’ve tried. To get the most out of your headset, you should really invest in a PS4 Pro. To confuse matters even further, Sony recently release an updated version of the headset that allows HDR passthrough and is a bit more refined. If you want to save some money, the older models are typically the ones you will find in deals, so just be aware. When you first unbox your PSVR, it will be an eldritchian nightmare of wires. The instructions are fairly straightforward and there are hints on-screen that something isn’t quite right, so stick with it and you should be all set up in anywhere between ten and thirty minutes. However, you may want to get some cable ties at the ready because otherwise it will look messy as all hell. As an aside, you may be struggling for USB ports with the base PS4 if you also have an external hard drive and want to charge your Move controller, so bear that in mind. It’s really simple to start playing a VR game. Just turn the headset on, make sure you’re far away enough from the PlayStation Camera to properly align with it and that you have enough room to move around in. Admittedly, the “scope” of the headset isn’t the best: duck too far to the left or right and you will be out of the range. It’s not perfect for active games like Superhot VR, as well as the trailing, chunky cable being a bit of a bother. The ideal environment to use the headset in is one that is spacious and with the TV centred rather than at an angle. If your games room is on the cramped side, you might struggle to see the enjoyment in some titles. The Move controllers aren’t necessities for all games, but they are for the aforementioned Superhot VR. Cheekily, Sony have barely updated from the PS3 versions, so if you have some still lying around from the days of everyone copying Nintendo, you can save yourself a hefty amount of money. Similarly, the PS VR aim controller isn’t an essential, but for games like Farpoint, it’s a mighty fine improvement than depending on the sometimes finicky DualShock 4. If you’re struggling for space, you can also pick up a stand for your headset. For a more comprehensive collection, be sure to check out our list for the best PSVR games. Once you’re good to go, it’s a wise idea to hop over to the PlayStation Store and download some “experiences” and free games. None of these are particularly life-changing or long, but free is free and a good excuse to get acclimated with the headset without putting extra money down. When you’ve exhausted all options, head to the PlayStation Store and pick some of these up. Possibly the most fleshed-out VR game on the market, and it isn’t even standalone. Resident Evil 7 was a successful rebirth for the franchise in 2017, and its VR portion converted many to the cause. Sure, the floating hands are weird, but if you get past that, there’s a lot of blood and tears to be enjoyed. Honestly, I found this to be an utter chore to get through, though I am on the more critical side for the polarising reception to the Until Dawn prequel. The Inpatient has a nice atmosphere and an intriguing storyline, plus plenty of things that go bump in the night, but sweet Christ is it overpriced. If you can live with it not always being a totally fluid murderthon, Superhot VR is a maddening, breathless ride. Maddening because you will be trying over and over again to kill all the red dudes and breathless because you will sweat out all fluid in your body. I genuinely lost five stone. An on-rails shooter related to a straight narrative experience might not sound like it should work, but Rush of Blood totally does, especially with a pair of Move controllers. The disembodying (literal) rollercoaster ride offers frights and plenty of challenge, sort of like a macabre version of Time Crisis where pigs hang from the ceiling and squeal themselves into your sleepless nights. Repetitive? Yes. Fun? Yes. The closest you can get to living inside a Starship Troopers movie? Also yes. One of the first FPS VR games that features more than a static shooting gallery, this should be one of your first choices, though you will really have to get an Aim controller as well. If you want to relive that episode of Black Mirror without, you know, being an utterly reprehensible monster, Bridge Crew is your best bet. Get some friends together and journey across the stars – just don’t say we didn’t warn you if the conflict to become captain tears your friendship group apart. Be the Bat. For a little while. The very definition of short but sweet, Arkham VR is an incredibly immersive experience that will leave you wailing in an alleyway once it’s all over. Be the eagle. Not quite as catchy, but Eagle Flight is a fun, strangely relaxing romp through the skies that won’t turn your stomach. You navigate with the headset and it’s a largely smooth and cathartic ride, plus it even has a campaign mode. Sadly, you can’t poop on everything from a great height. Make sure you have a Pro before you take on DOOM VFR and you will be in for one hell of a show, teleporting around and exploding all of the things. It’s utterly irresistible when Mick Gordon’s soundtrack hits, so be sure to clear the room for the inevitable solo mosh. If PSVR had a killer app, this would probably be it. The entirety of Skyrim (albeit closer in performance and visuals to the PS3) has been replicated in VR and it works wonderfully. If you’ve already played through the game countless times before, however, you want to wait around for a price drop for Skyrim VR because, ultimately, the game at its heart is still years old. If Arkham VR is a little too hands-off for your tastes, Megaton Rainfall should be your next adventure. Play the role of a superhero as you speed through the skies and shoot down aliens. Graphically, it’s basic as heck, but you try telling me that you don’t want to be an all-powerful saviour with a straight face. Sony are going in hard on VR. If there’s any company that’s tried the hardest to make it a mainstream thing, it’s probably them – they spent almost all of their time pushing it in 2017. Sure, it’s never going to be for absolutely everyone, but most VR cynics are waiting for the “big” game to convince them, or a clear sign that it’s around to stay. , as well as a VR demo for The Last Guardian. Whether through sheer stubbornness or a genuine desire to make VR a thing, Sony are going to keep plugging away at PSVR until they feel they’ve reached the audience it deserves. This isn’t a throwaway experiment like Move or EyeToy: they’re going all in to make a convert of you. There is one massive brick wall that many struggle to overcome with PSVR and virtual reality in general: the nausea. It’s difficult to tell if you will become sick without trying VR out for yourself, but a rule of thumb is if you get travel sickness generally, you may suffer from motion sickness in virtual reality. Mild cases consist of some dizziness and sweating from extended periods of play, but extreme motion sickness will leave you feeling so outright nauseated that you may have to lie down for a while. Motion sickness is pretty common, but there are plenty of things you can do to overcome or even avoid it altogether. Speaking from personal experience, I was sick as a dog after a few sessions with it, so I had to step back for a little while. It’s all about constantly throwing yourself at that brick wall and eventually getting past it, however, either through willpower or with some assistance. Motion sickness is caused by the brain sensing a disconnect between what’s happening in the headset and where you are in the real world, but there’s an easy solution: chew gum. It levels out your brain, but you can also pair it with some ginger supplements (yes, really), which is a traditional prevention for travel sickness and the like. If you’re worried about getting motion sickness and it’s putting you off putting the money down, don’t buy one. Instead, find somewhere that has a free headset demo available, such as a games shop. If you’re lucky enough to have a friend with a headset, ask to use it and play a few different games to see how you survive. It also really comes down to the game and the way it handles motion. Some titles will have the option to allow you to move totally freely, but it’s almost never the default, instead letting the player move and transition on a scale of different angles. There are games, however, that will probably make you want to throw up everything you’ve ever eaten no matter what. Here They Lie, I’m looking (and puking) at you. Buying a PlayStation VR or not really comes down to a few key factors. If you can comfortably afford it, you should buy a bundle and take it from there. If you’re going to be putting yourself out financially, swerve it – the headset is still just a luxury for the time being. Motion sickness is a big obstacle, but a lot of people eventually become acclimated. Understandably, you won’t want to put down the money on a headset if you have any concerns, so absolutely demo one first if you can, especially if you find yourself getting carsick on long journeys if you’re on your phone, reading a book, etc. Despite some cynicism, it looks like VR is here to stay. Sure, it has its flaws (and PSVR has many), but it’s a burgeoning technology that only looks like being improved upon and refined. But where does that leave you in this generation as, essentially, an early adopter? That’s a choice only you can make, though I will say that once I tried that headset on for the first time, any concerns were quickly washed away. Hankering for some more PlayStation? Use your eyes and give our countdown of the best PS4 exclusives a read, or some of the best you can find on the platform overall. If you’re after just games in general, our absurdly long list of the biggest new games of 2019 is your best bet.